Maintaining and enhancing business requires commitment to quality throughout the supply chain, both internal (own manufacturing) and sourcing. Quality is not only about zero fault, but to ensure a qualitative chain of actions and resources involved. Code of conduct, standards and compliances regarding environmental and social impact are systems that present challenges for companies, both internally and externally. 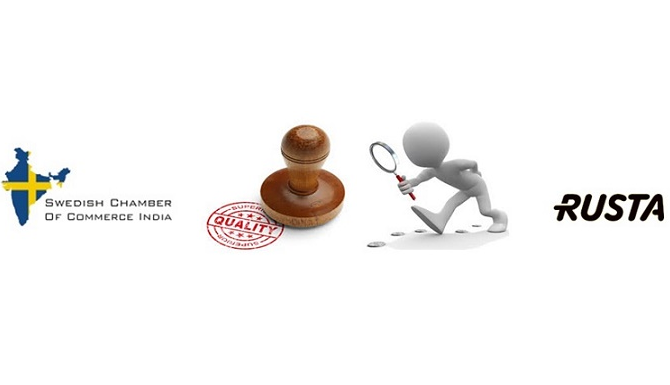 SCCI and Rusta, a Swedish company sourcing lifestyle products from India with holistic quality as a key strategy, invite you to a discussion on Quality with focus on the ‘Challenges with respect to sourcing in India with Quality & Compliance’. Join us to exchange best practices and discuss new ideas and opinions on how we seek to improve business. This session will have a special emphasis on the Swedish retail and trading companies in India but all are very welcome.